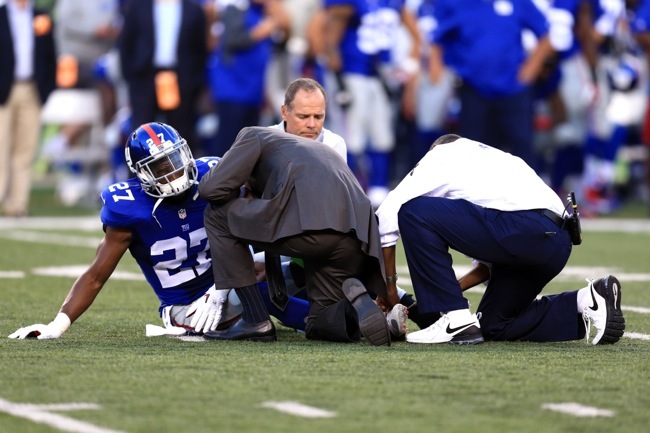 Mykkele Thompson Lost for Year; Landon Collins MCL Sprain: As feared, New York Giants safety Mykkele Thompson’s season is over. The 2015 5th-round draft pick ruptured his Achilles’ tendon in the team’s 23-10 preseason loss to the Cincinnati Bengals on Friday night. It also appears the Giants will be without fellow rookie safety Landon Collins for at least a couple of weeks. Collins sprained the MCL in one of his knees in the game. Collins was the team’s 2nd-round pick in the 2015 NFL Draft. 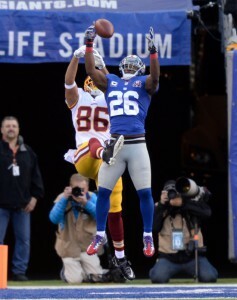 “I would say it’s longer than a week (that Collins will be out),” said Head Coach Tom Coughlin. Coughlin could not provide an update on cornerback Jayron Hosley, who suffered a neck injury and a possible concussion in the game as well. “I don’t have any information for you yet (on Hosley). I’m hoping that this is not a long term deal,” said Coughlin. Cornerback Trumaine McBride also left the contest early with a hamstring injury, but there was no update. Coughlin was asked about three defensive backs who did not play in the game: cornerback Prince Amukamara (groin), cornerback Chykie Brown (knee), and safety Nat Berhe (calf). 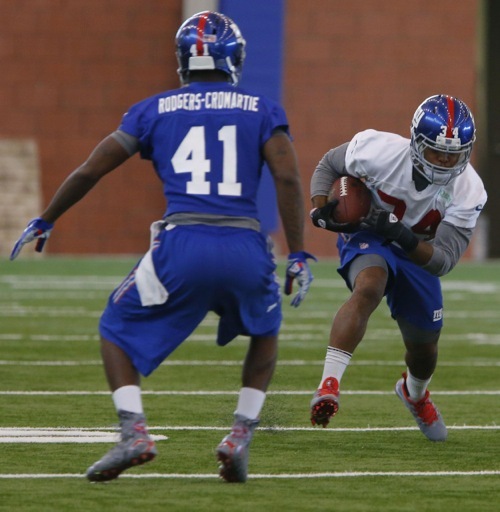 “I don’t see (Brown) coming back right away this week,” said Coughlin. Coughlin was hopeful that Berhe could return soon, but did not provide much clarification regarding Amukamara. Good afternoon everyone, I just had a staff meeting and I spent most of the day looking at the tape. I said just about everything I needed to say last night. It’s the first preseason game. We were able to get everybody dressed into the football game, which was good. We didn’t play well with our ones and perhaps didn’t play well throughout the entire night. We still had chances. As you all know, we ran a kickoff back to the 35, accepted the ball and ran it back to the 35, and then did really nothing with it after we got it in to that point. Our first group gave up an easy touchdown with Cincinnati driving the ball with their ones then they took primarily their first group out of the game. Offensive team, Eli (Manning) played 15 plays, and the offensive line played 24 plays. I think with Eli we had one opportunity and we did not make it on 3rd and 1. We had a pass in there that was dropped, which would have been our only third down opportunity. Otherwise we really were just three and out, three and out, three and out type things, so not pleased at all with that. I expected much more, don’t know what the issue was with that, but it does put into perspective the entire day, the work that has to be done and put in here. Questions are going to be asked about the offensive line, we did some things okay. Everybody wants to know how (Ereck) Flowers played, I thought he played okay. I just think as a group we weren’t able to execute together in any capacity that allowed us to have total success with a play. For example, the ball would be run to the left, it would look like we would get to the perimeter and be able to make a nice run with it, and perhaps one of the backside people would have been beaten and a defender was there for a potential cutback or caught the ball carrier before he got to the corner. I didn’t think our receivers played well. I thought our execution left a lot to be desired and I thought the details and the route work was not very good. We did have a couple opportunities that we let get away from us, particularly there was a post ball that I thought we could have hit for a touchdown, and we didn’t get that done. The quarterback was forced out of the pocket, but prior to that, I thought he could have made a play possibly and got the ball down the field. It was one of those deals where their secondary perhaps was making an error. As I said, we played a lot of people, had some chances and didn’t do very well with the ones that we had, and then the backup players had an opportunity to get plenty of snaps, and they did get play time, but it wasn’t of a productive nature as such. We did have a couple of injuries. We all know today the achilles injury to (Mykkele) Thompson. I feel really bad for that young guy and (Landon) Collins has a MCL sprain, and you’re going to ask me how long, but I really don’t know. We’ll see. A lot of that is up to the individual. Q: Is the season over for Thompson? His season is over, yes. He had struggled when we first got to the practices. His tendinitis, his patellar tendinitis had bothered him after a couple days off of his feet. He thought he could play, he did not warm-up well, we probably should have shut him down right away, but he had played a few snaps. He definitely was not himself and he was in pain. Q: You usually don’t play guys who don’t practice, why was it different this time? Was it because this is the preseason? No, I don’t necessarily agree with your statement. He missed two practice days but the trainers felt and he wanted to go, and he felt like he could go, and with that regard, the number of snaps that anyone was going to get made that a little bit easier decision when the trainers said he can play. Q: What’s your level of concern after losing the two rookie safeties? The level of concern has been there since day one because of the nature of where we are. Even going back to Nat Berhe being unable to come in here and practice, one of the few remaining safeties from our roster of a year ago. We obviously drafted two young players that we know were going to be able to help. Now we’ve lost one of those guys, the other issue is how quickly Landon can come back so he doesn’t miss out on anything, because he definitely needed last night. To be honest with you, he needed it. In order to be able to be in position, I think to where he’s seen a great deal of what takes place in the National Football League, and has been in games, and has had a chance to prepare and play, he needed last night. He didn’t get much last night, so certainly there’s concern. Q: Where does Berhe stand? Is there any update on that? Any closer to maybe coming back than in the past week or so? A: Well, I hope so. I hope so. I really don’t have much information yet from Ronnie (Barnes) or today’s medical, but I’m hoping that he’s—when we brought him back before, we thought he was going to be able to work his way through this thing before and then all of a sudden he got sore again. Whenever we do get the green light to bring him back, we will do so and we will always have to, and I think until proven, we will have to keep our fingers crossed that he can spend some consistent time on the field and get himself in position to where he can play. Q: What did you see from the safeties who were out there? Specifically Jeromy Miles and Cooper Taylor? A: Miles knows the defense and he’s been around Steve Spagnuolo. There’s a guy who we’re fortunate that we have here, to sign now, because of all that. Cooper is learning. He’s learning, he’s come in and after having had all that time off—so he’s started to come back and hopefully he’ll keep growing and learning and so on and so forth. That’s the way, those are the guys that we have and we will work hard to get those guys ready to play. Q: What did you think about how the safeties performed overall last night when you watched the tape? And what kind of happened on that first touchdown? I know you kind of ran a safety onto the field and it seemed like one of them wasn’t in the right spot on the first touchdown. A: Yeah, I saw what you saw, but how did they play last night? They did okay. There wasn’t anything overly, overly glaring. Certainly there were some penalties down the field, not that they were involved but it seemed to be as much of anything the big plays. Let them play. Let’s let them play and then we will take it step by step. Certainly as teams become more sophisticated and more comfortable with what they’re going to eventually be represented of their offense, we’ll see more of the ball in the air and we’ll see more of the safeties having to be involved in the play, not only coming to the line of scrimmage but also playing the pass. I can’t answer the questions you want because we’ve got to play some games with these guys back there and see how they go, see how they do. Q: Is there a chance that Collins is in practice next week? Or is it thinking something longer? A: I don’t know. I don’t know the answer to that. I would say it’s longer than a week. Q: Now that Bennett Jackson is that sort of a nickel-cover guy, slot-cover guy, is he going to have to move to safety full-time now? A: Well, we were able to bring him down from safety to play the nickel position and he also plays the safety position in that first and second down. So hopefully we can continue to do that. Certainly, he’s going to have to play more safety now. Q: Did you have an update for Jayron Hosley? With his neck? A: I don’t have any information for you yet. I’m hoping that this is not a long term deal. See if he can get back in there because he needs the play time and he showed that he certainly can get himself in position and do some of the things we have to do at the corner spot. Didn’t have a bad night at all prior to getting the injury and the injury came flying to the line of scrimmage and he made a tackle in which he got his head banged around a little bit. I don’t have anything for you yet from today, but we’re hoping that Hosley can be cleared to go here real quick. Q: Is the expectation that Prince is going to be back this week? And either way, do you need to add corners just to have numbers now? Do you feel like you’re getting short at that position? A: Well, you can certainly count as well as I can and you can never have enough of those guys anyways. If Prince comes back and we get even short-term notice on when some of these other guys will be back, we probably do have enough but otherwise, you’re right, we’ll be down in numbers. Q: Do you know anything on Chykie Brown? What is the injury first of all and what was the original diagnosis? A: I don’t see him coming back right away this week. 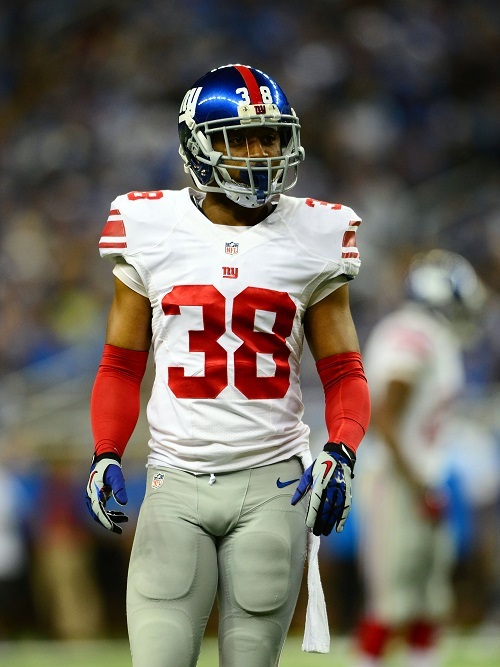 Giants Re-Sign Safety Justin Currie: The New York Giants have announced that they have re-signed rookie free agent safety Justin Currie (Western Michigan) a week after they waived him. Because of this move, we have updated the Transactions, Roster, and Depth Chart sections of the website. Giants.com Q&A with CB Chykie Brown: The video of a Giants.com interview with cornerback Chykie Brown is available at Giants.com. Kevin Gilbride and Shaun O’Hara Discuss Super Bowl XLII: Shaun O’Hara and Kevin Gilbride dissect the “Helmet Catch” by Dan Salomone of Giants.com. 2014 YEAR IN REVIEW: The Giants dramatically overhauled the cornerback position in the 2014 offseason, saying goodbye to long-time contributors Corey Webster, Aaron Ross, and Terrell Thomas while adding free agents Dominique-Rodgers Cromartie (DRC), Walter Thurmond, and Zack Bowman. These new additions were to support former-first rounder Prince Amukmara and the re-signed Trumaine McBride. It was believed by many that not only were the Giants exceptionally strong at corner, but that this could be the strongest group of corners on the team in recent memory. But those expectations vanished quickly due to injury. Nickel corner Walter Thurmond was placed on Injured Reserve after only two games, followed by Trumaine McBride in mid-October and Prince Amukamara in early November. The loss of Amukamara – who was having his best season – was particularly a hard pill to swallow. Without three of their top four corners, more pressure was placed on DRC, who was also dealing with a litany of injury issues to the point where he could not play a full game. The Giants were quickly left to scramble and made in-season roster moves including signing castoffs Chykie Brown, Mike Harris, and Chandler Fenner. Brown and Harris performed reasonably well given the circumstances, but overall, the secondary failed to fulfill their preseason boasts as one of the best units in the NFL. The Giants finished 18th in the NFL in pass defense. ADDITIONS/SUBTRACTIONS: Most of the significant roster changes at corner have been subtractions. Somewhat surprisingly, the team did not make much (if any) of an effort to re-sign Thurmond and he signed with the Eagles. 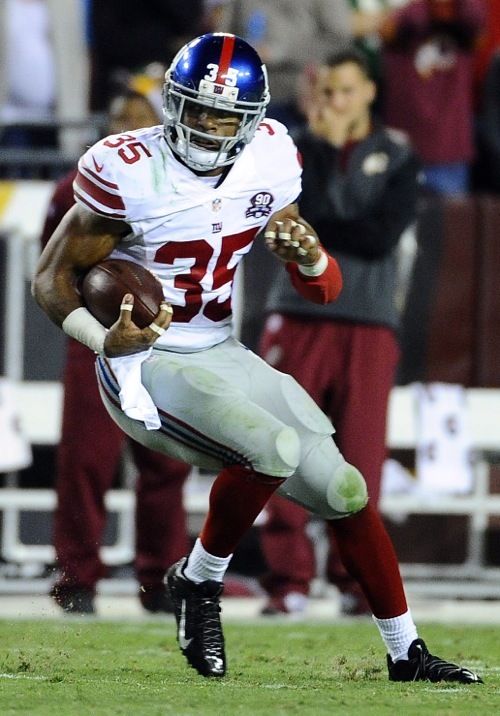 The Giants also appear not to have made an effort to re-sign Bowman, who signed with the Dolphins. 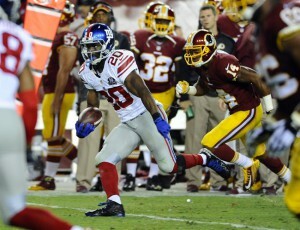 The Giants made few additions at corner, choosing instead to re-sign free agents Chykie Brown and Chandler Fenner. The team signed the uninspiring corner/safety ‘tweener Josh Gordy from the Colts and journeyman street free agent Trevin Wade. Because of this, it was expected that the Giants would probably take a corner in the 2015 NFL Draft. However, not only did the Giants not draft a corner, the team also did not sign a rookie free agent at the position after the draft. TRAINING CAMP STORY LINES: If Rodgers-Cromartie and Amukamara can stay healthy, the Giants may have the best duo of corners in the NFL. However, Amukmara has been an injury-prone player since being drafted in 2011, missing significant time in three of his first four seasons. Rodgers-Cromartie did not miss a game in 2014, but was nagged all season long with a variety of injuries that affected his game and the number of snaps he could play. Assuming these two stay healthy, the media will focus much of its preseason attention on how good these two can be playing together. But the more important story line could be the apparent lack of depth. The third (nickel) corner is a de facto starter in today’s NFL. Who will be the team’s nickel corner? The early favorite is McBride, but he could be pressed by Mike Harris. 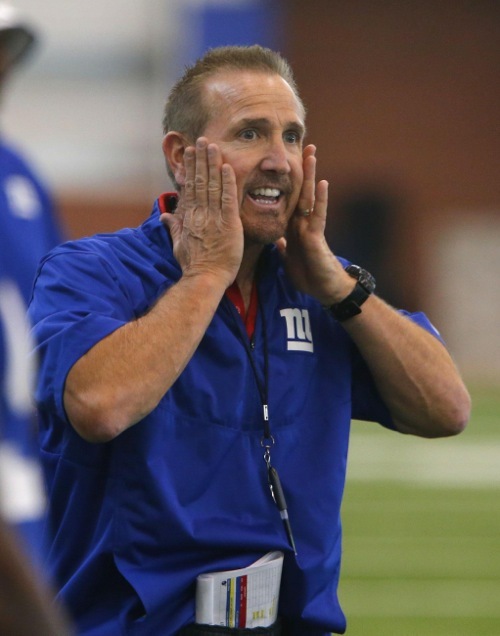 Also, what if DRC or Amukamara miss time due to injury? Who will be the first corner off of the bench to replace the missing outside guy? Again, the early favorite is probably McBride, but Chykie Brown could factor into the equation. Other contenders for roster spots include Josh Gordy, Jayron Hosley, Chandler Fenner, and Trevin Wade. None of these names inspire. Indeed, on paper it appears that corner is the shallowest position on the team. An injury or two here could spell disaster. A longer-term focus is Amukmara’s contract situation. The Giants are currently set to have three of their very best players hit the open market in 2016 (Eli Manning, Jason Pierre-Paul, and Amukamara). And the team can only Franchise tag one of them. Prince has made it very clear via his Twitter feed that he wants to get paid. Will he be able to play a full schedule for just the second time since he was drafted? 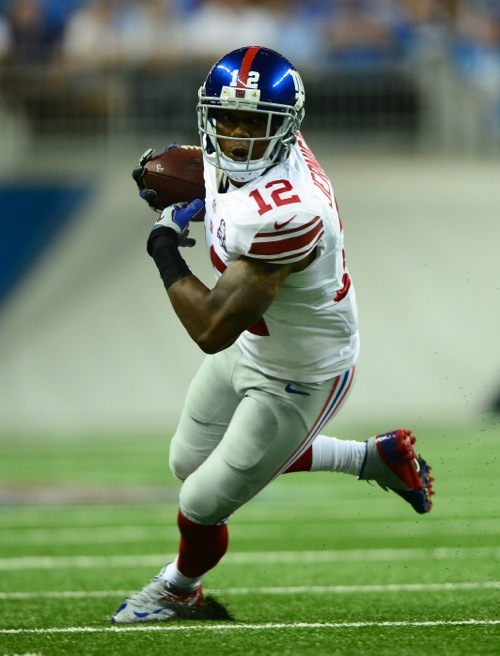 If he does and plays as well as hoped, will the Giants be able to re-sign him? ON THE BUBBLE: The Giants normally keep five or six corners. Barring injury or unforeseen circumstances, DRC and Amukamara are locks, leaving three or four roster spots open. The early favorites to make the team are McBride, Harris, and Brown. Gordy, Hosley, Fenner, and Wade are clearly on the bubble. Gordy could be helped by his position flexibility, being able to play safety in a pinch. 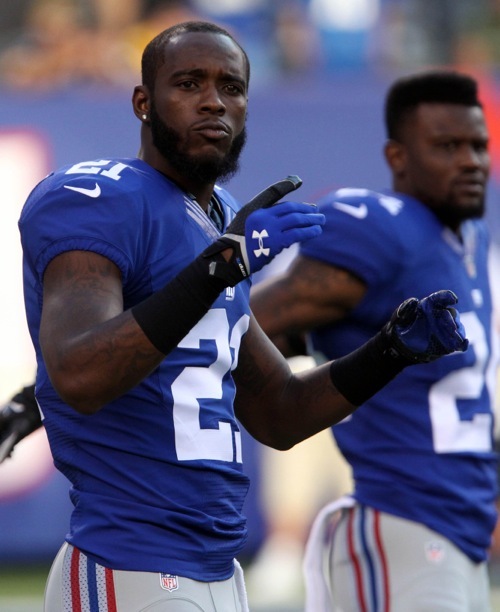 PREDICTIONS: Provided they stay healthy, the Giants are in great shape with Rodgers-Cromartie and Amukamara. 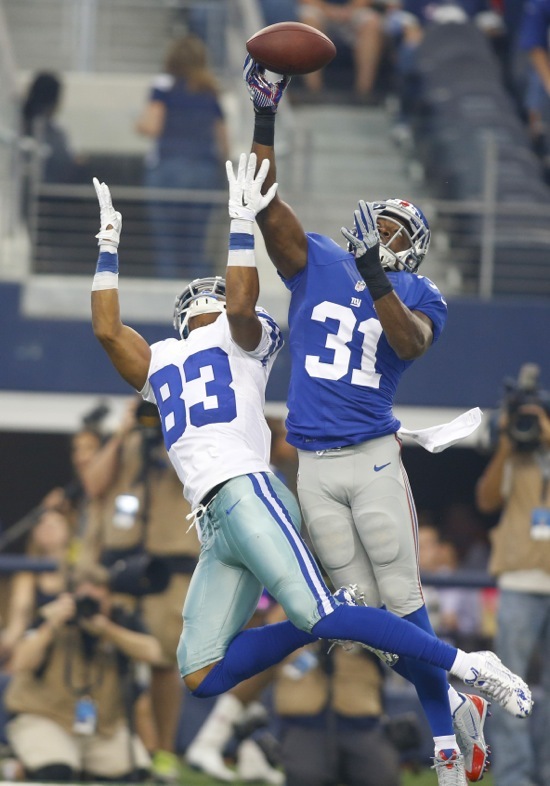 They are clearly the best two corners in the NFC East and one of the two could end up in the Pro Bowl. Nevertheless, the biggest weakness on this roster may not be the offensive line or linebacker or safety, but cornerback due to the overall lack of quality depth. When teams like the Cowboys, Eagles, and Redskins play 3- and 4-wide receivers sets, the Giants will be forced to counter with the likes of McBride, Harris, and Brown. 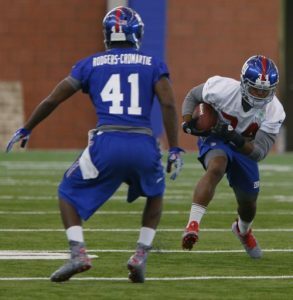 And God help the Giants if either one of the two top guys get hurt. The fear here is that while DRC and Amukamara largely handle their business, opponents will feast on the third and fourth corners. The Giants desperately need one or two of these former castoffs to surprise. 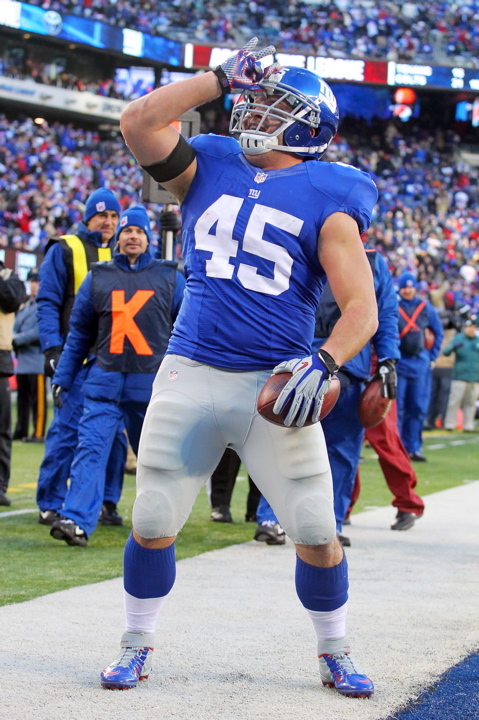 McBride did start 10 games for the Giants in 2013 and did a respectable job. Harris is a guy who the team thinks can play nickelback. 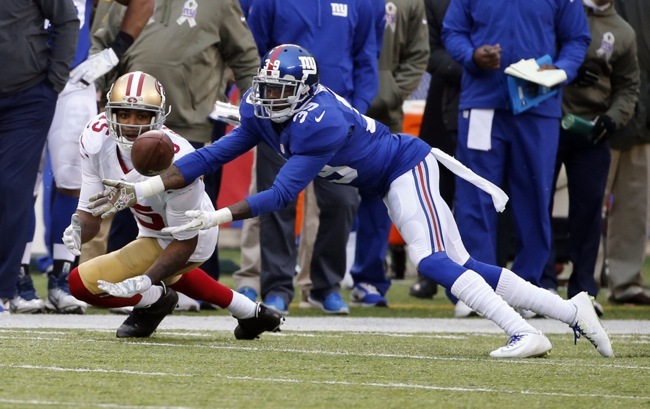 If the reserve corners struggle, the Giants will be scanning the waiver wire. FINAL DEPTH CHART: Unless there is another roster addition, the top five corners look to be Dominique Rodgers-Cromartie, Prince Amukamara, Trumaine McBride, Chykie Brown, and Mike Harris. To me, the bigger question is do the Giants go with five or six corners. My early guess is they will carry one more safety and one fewer corner and go with only five cornerbacks. The New York Giants have announced that they have signed street free agent linebacker Ryan Jones. The team also confirmed that they have signed unrestricted free agent defensive back Josh Gordy (Indianapolis Colts), which we reported on yesterday. Jones was originally signed as an undrafted rookie free agent by the Baltimore Ravens after the 2014 NFL Draft, but he was waived/injured less than a month later with a foot injury. Jones has a nice combination of size (6’4”, 245 pounds) and athleticism (4.68 40-yard dash at his pro day last offseason). But he is raw, having played two years at Montana Tech. For an overview of the teams’ offseason free agent activity, see the 2015 Free Agency Scorecard section of the website. Giants.com Video on Offensive Lineman Geoff Schwartz: A video on offensive lineman Geoff Schwartz’s offseason workout/rehab is available at Giants.com. 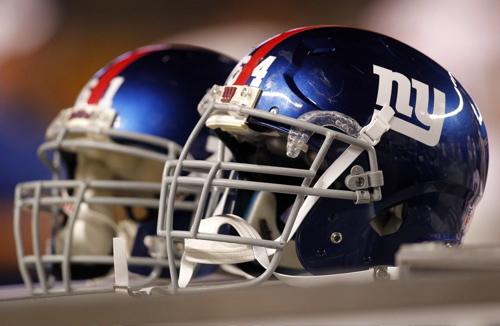 John Jerry Re-Signed by New York Giants: The New York Giants have announced that they have re-signed unrestricted free agent offensive guard John Jerry. 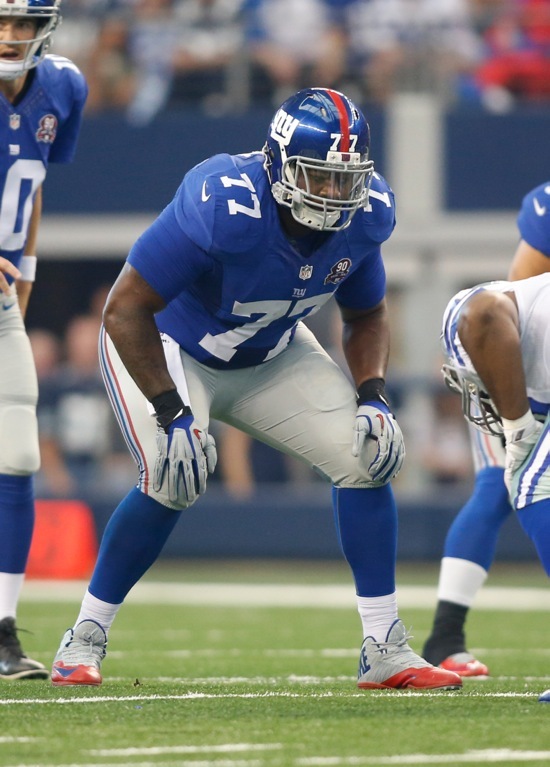 Jerry started all 16 games at right guard for the Giants in 2014. Jerry was originally drafted in the 3rd round of the 2010 NFL Draft by the Dolphins where he started 45 games in his first four seasons in the NFL. The Giants signed Jerry as an unrestricted free agent in March 2014. Jerry looks the part with very good size and long arms, and he flashes both as a run and pass blocker. But he is not a very consistent player and he struggled quite a bit at times in 2014. The team also officially confirmed that they have re-signed unrestricted free agent cornerback Chykie Brown, which we reported yesterday. The contract is reportedly a 2-year, $2 million deal. Unrestricted free agent safety Darian Stewart (Baltimore Ravens), who the Giants were rumored to be interested in, has signed a 2-year contract with the Denver Broncos. Antrel Rolle on WFAN Radio: The audio of Friday’s WFAN interview with former Giants safety Antrel Rolle is available at CBS New York. 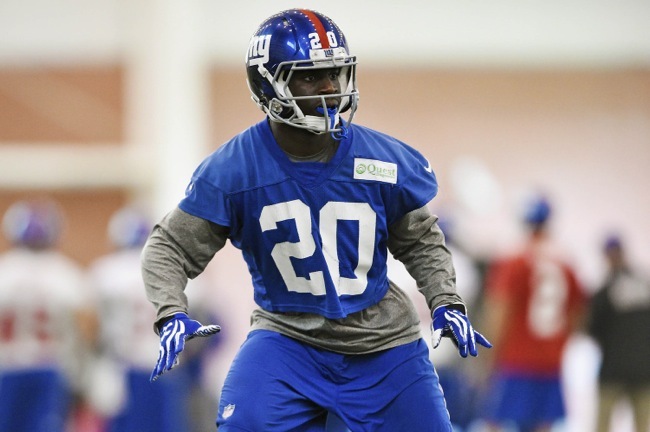 Chykie Brown Re-Signed by New York Giants: According to NJ.com, the New York Giants have re-signed unrestricted free agent cornerback Chykie Brown. Terms of the deal are not yet known. The Giants claimed Brown off of waivers from the Baltimore Ravens in November 2014. He ended up playing in eight games with four starts and finished the season with 31 tackles and two pass defenses for the Giants. Brown was originally drafted by the Ravens in the 5th round of the 2011 NFL Draft. In four seasons with the Ravens, Brown played in 46 regular-season games with two starts. “He is a young man that is very conscientious,” said former Giants defensive coordinator Perry Fewell in December 2014. “He takes very good notes, and when I say takes good notes, he is a good film study guy. He doesn’t have all of our techniques down pat, but he has the long arms. We like that, for jams, he has really good speed, so we like the speed that he can possess when he runs down the field. Unrestricted free agent safety Rahim Moore (Denver Broncos), who the Giants reportedly were interested in, has signed with the Houston Texans. Unrestricted free agent defensive end Adrian Clayborn (Tampa Bay Buccaneers), who the Giants were reportedly interested in, has signed with the Atlanta Falcons. The Giants are reportedly interested in unrestricted free agent safety Darian Stewart (Baltimore Ravens). 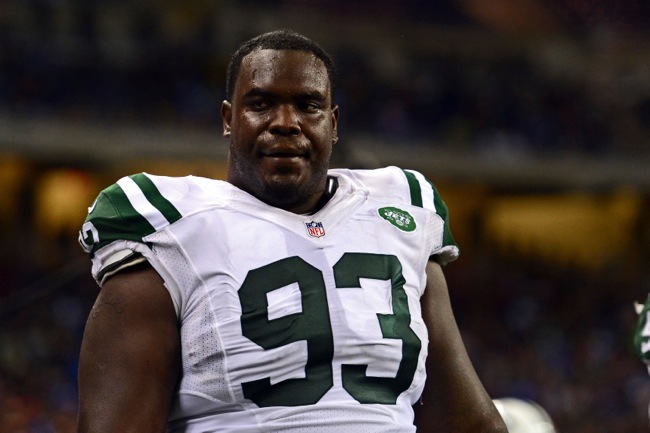 However, according to the The Daily News, while Stewart is visiting the Broncos and Falcons, he has no visit scheduled with the Giants.